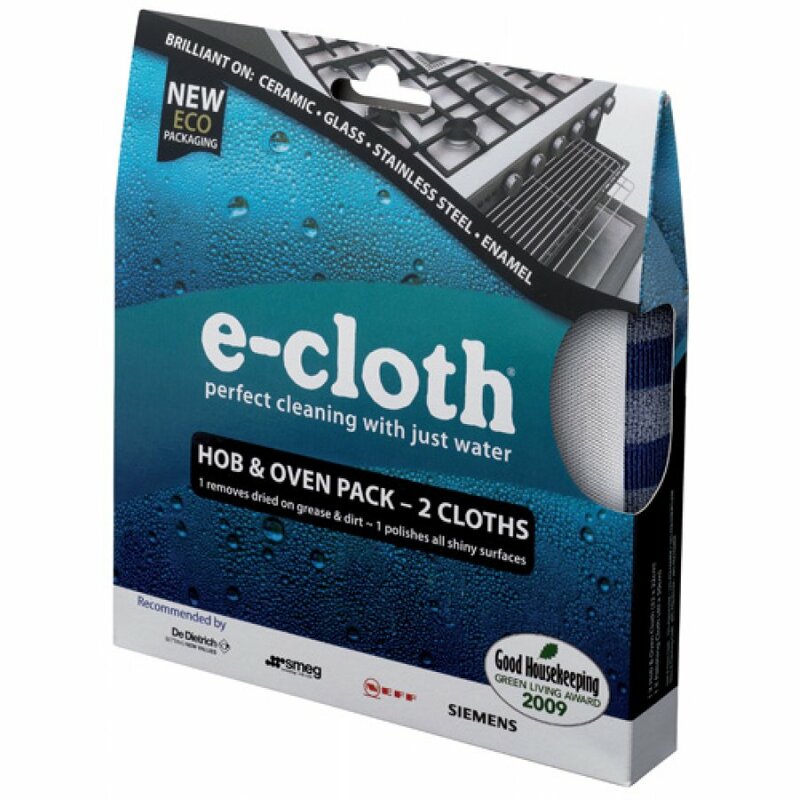 The Hob and Oven Pack from E-Cloth contains two cloths to clean all types of hob and oven, for a naturally sparkling finish, totally chemical free. Ideal for any hob and oven, this cloth will clean stuck-on grime and thick grease from any hard surface. Great on stainless steel, ceramic, glass, enamel and chrome. One side of the cloth has toughened (non-scratch) strips to quickly and easily remove harder, burnt-on dirt and grease. The other side has a softer, more absorbent texture to clean away any remaining grease and bacteria. 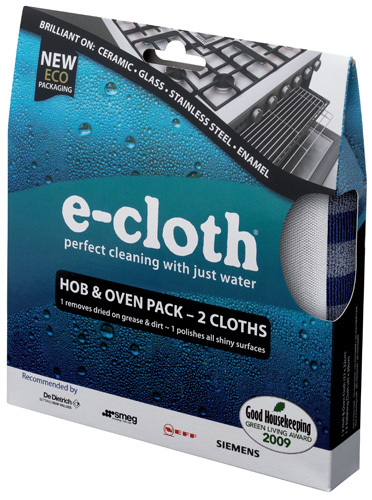 Perfect when used in combination with the E-Cloth Glass & Polishing Cloth, which gives a sparkling, streak-free finish to all hob and oven surfaces. The E-Cloth Hob & Oven Pack product ethics are indicated below. To learn more about these product ethics and to see related products, follow the links below. Very useful for every day cleaning of my ceramic hob and electric oven but burnt on stains need something stronger as I do not have strong wrists. Shine cloth great for finishing my hob. There are currently no questions to display about E-Cloth Hob & Oven Pack.